Think sustainability is just for hippies and tree huggers? Think again. With these stocks, what’s good for the planet is now also good for your investment portfolio. NEW YORK (TheStreet) -- The "Green Giants" are companies that make $1 billion or more in annual revenue from products or services with sustainability or social good at their core. That's "billion" with a "b" -- an eye-opening number since conventional business wisdom holds that purpose and profit are competing forces, not complementary ones. Green Giants also translate sustainability into stock performance, returning 11.7 percentage points more than a set of comparison companies over the past five years, and outperforming the S&P 500 by an average 6.8 percentage points per year (the comparison companies trailed it by 4.9 percentage points), according to research conducted for the book Green Giants by Jason Denner at analytics firm POINT380. The Green Giants offer further proof that purpose can be a boost to stock performance, not a drag on it. Goldman Sachs (GS has shown that companies that are leaders in environmental, social, and good governance outperformed the MSCI by 25% over a two year period, while a meta-analysis of multiple studies by the University of Oxford and Arabesque Asset Management showed that the stock performance of companies is positively influenced by good sustainability practices. And because sustainability is only set to expand as a corporate priority as a result of changing consumer preferences, regulation and resource constraints, this is a long-term trend, not just a flash in the pan. Here's a look at seven Green Giants, along with notes on why should you might want to consider sustainability as a new criteria in your stock selection. Once you see the names on this list and how much money they are making in sustainability, you will forget everything you thought you knew about sustainability. It's no longer going to cost or lose money; it's the new way to make it. The Green Giants prove it and are converting sustainability into billions for their bottom line and strong returns for their shareholders. This electric car company was the breakout stock among the Green Giants over the past five years. Remember, Tesla was the best-performing stock on the Nasdaq in 2013. 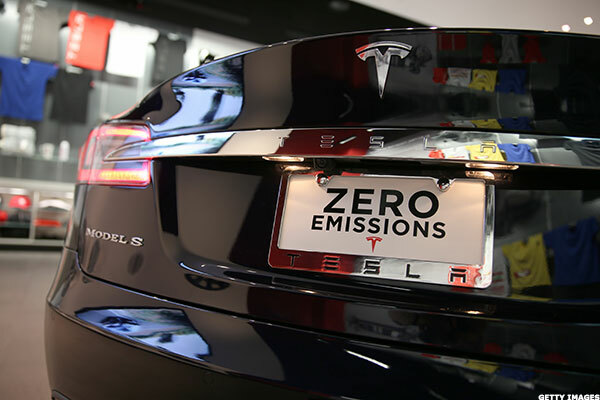 At the time of its IPO, Tesla was the first new U.S. automaker to go public since the Ford Motor Company in 1956. (General Motors (GM completed a public offering in November 2010.) It also beat both U.S. and German luxury competitors in commercializing a high-end electric vehicle. Although its stock price wobbled this summer because of delays in delivery of the forthcoming SUV Model X and management turnover, Tesla remains one of the most hotly watched -- and polarizing -- stocks. Innovation plans give cause for confidence; if the company can succeed in building its Gigafactory to produce lower-cost batteries and penetrate a new consumer segment by bringing the affordable Model 3 to market, there's plenty more road for Tesla to run. 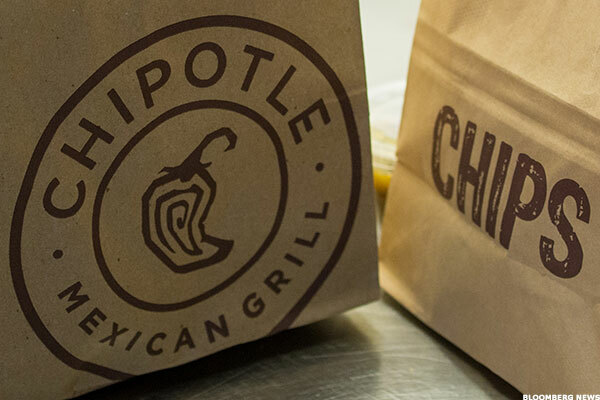 Chipotle is the highest returning fast-food stock in a generation. The "fast casual" burrito chain, with its mantra of "Food with Integrity," has overturned the economics of the fast-food category by sourcing more costly sustainable and ethical raw ingredients -- 100% of its beef, pork and chicken is humanely raised -- yet still commanding restaurant-level operating margins of 28% and consistently delivering double-digit revenue growth. As a result, Chipotle stock hit an all-time high in July 2015, and with consumer trends favoring natural and organic foods, plus plenty of room for growth in the U.S. and globally, Chipotle looks set to continue its stellar run. When current CEO Paul Polman took the reins at Unilever in 2009, the company had been through a period of zero growth, and his plan to change this, called the Sustainable Living Plan, didn't strike anyone as the most obvious turnaround strategy. After all, it aimed to double the business while halving the carbon footprint and increasing positive social impact. Yet by late 2012, Unilever's stock price was more than 50% above where it was when Polman started, and Unilever's stock has continued strong, outperforming rival Procter & Gamble's (PG shares by 3.5 percentage points over the past five years. The stock reached an all-time high on Aug. 10. 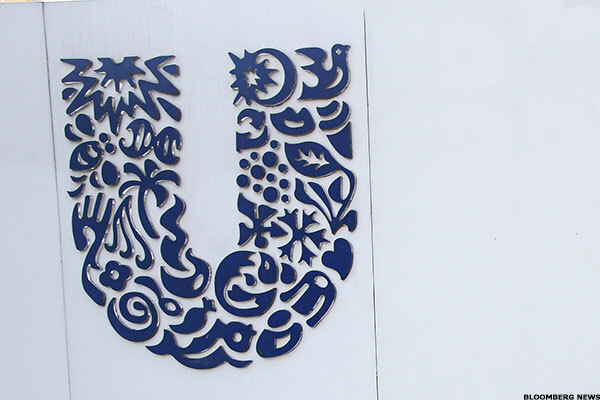 Since its purpose-driven brands are growing twice the rate of the rest of the portfolio, Unilever is racing to ensure all brands embrace a purpose. This company's counterintuitive ideas keep proving the naysayers wrong, and Unilever looks set for continued strong performance. Ecomagination is GE's line of products that offer customers both energy efficiency and cost savings. Since 2005, GE has invested $15 billion in R&D in this strategy, and it has yielded $180 billion in revenue over the same time period -- an extraordinary ROI. And no wonder, as business customer demand for energy-efficient solutions such as Ecomagination wind turbines and hybrid diesel-electric locomotives continues to surge in response to regulation and a desire to limit exposure to energy price volatility. 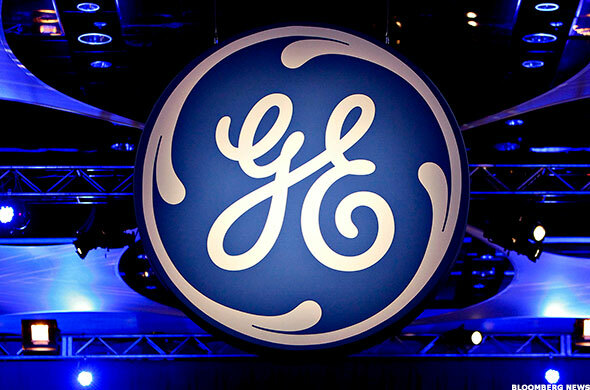 Although GE's stock has had a bumpy August, long-term growth strategies like Ecomagination position the stock well for the future. Nike has used sustainability as a spur to invent its new sneaker technology Flyknit, which is not just a new shoe, but a new way to make shoes. With Flyknit, Nike weaves shoes from recycled fiber, instead of piecing them together from different materials. The process reduces waste by up to 80% while simultaneously boosting athletic performance. 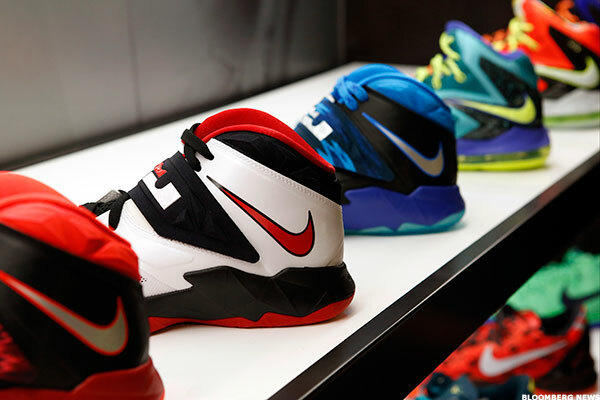 Nike is rolling the technology out across its product line, producing shoes that look and feel totally disruptive. Its stock performance has been noteworthy, too. Even with recent market volatility, the stock is up more than 13% this year. Expect sustainability-inspired innovation to continue fueling growth at the company that leads the athletic apparel category. The Green Giant product line at Toyota is the Prius. This fuel-efficient, low-emissions hybrid vehicle has become the most successful product launch in Toyota history, success its inventors admit they never dared hope for. With its fuel efficiency and offbeat design, the car has succeeded in breaking out of a green niche to appeal to the mainstream car buyer. Toyota got so far out in front of competitors that it still owns more than 50% of the U.S. hybrid market. 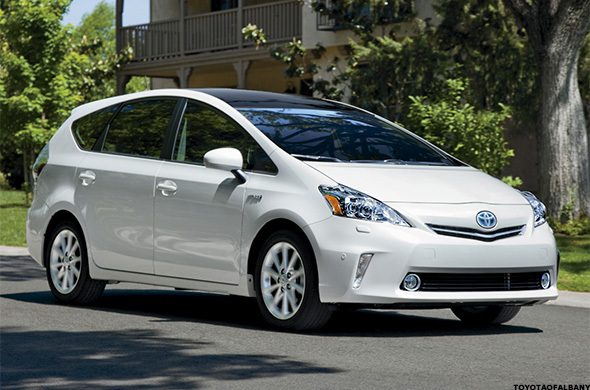 And although 2015 Prius sales have slowed, a new model, set to launch later this year, could fix that. After more than a decade of success as the nation's first organic-certified grocery store, Whole Foods has had a tough year, with slowing same-store sales and a scandal about overcharging in New York that has done little to dispel its "Whole Paycheck" nickname. 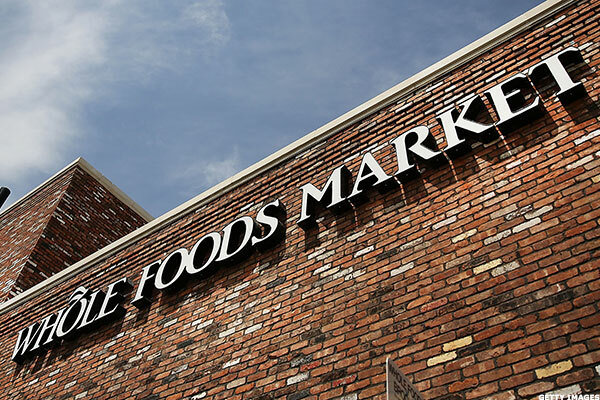 Despite these speed bumps, Whole Foods is well positioned to take advantage of the same long-term consumer shift toward organic, local food that has propelled it until now. Meanwhile, sales are recovering from the pricing scandal. Right now may be a good time to buy, as the stock is at its lowest price since 2011. This article is commentary by an independent contributor. At the time of publication, the author held positions in TSLA, CMG, UN, GE, NKE, TM and WFM.